Are we likely to see something similar to this in the LWE environment? 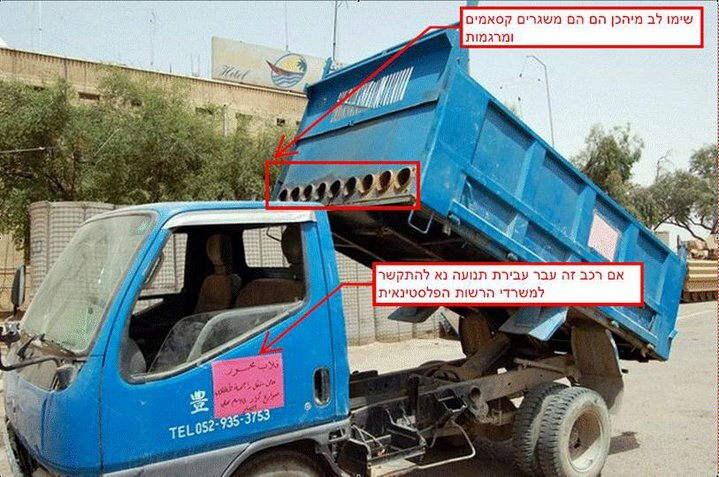 This is a captured Palestinian garbage truck from Gaza. The truck is set up to fire 9 Kasem rockets and then drive off innocently. The note pasted on the drivers door says In case of traffic violations, please contact The Palestinian Authority. This is why the Israeli Government inspects every ship bringing “aid” to the Gaza Strip.